Last May 24 to 28, 2017 Puregold had its annual Tindahan Ni Aling Puring Convention (TNAP) at the World Trade Center, Pasay City. Permex Producer & Exporter Corporation, maker of KING CUP SARDINES participated in the said convention. Aside from dressing up its booth, King Cup Sardines had a segment in TNAP’s program. 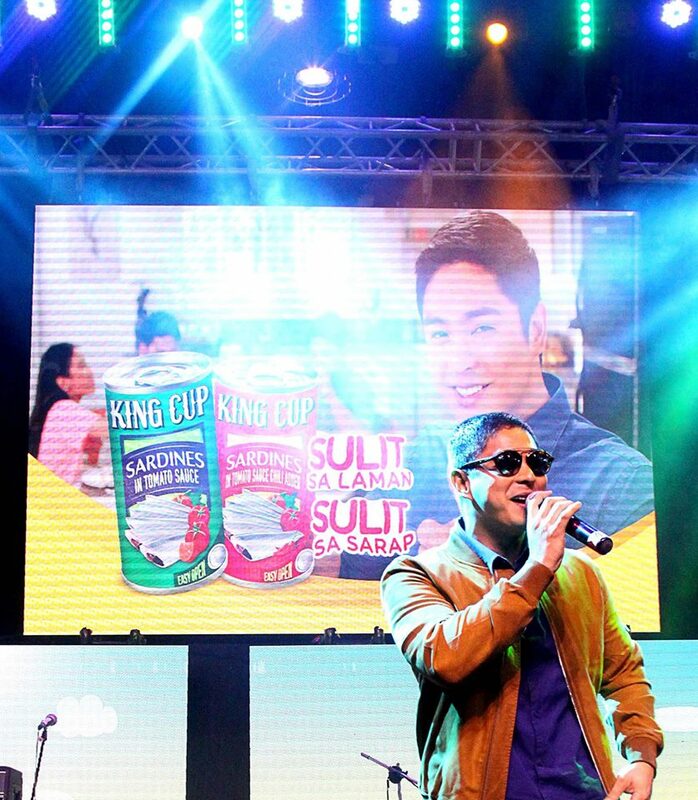 King Cup Sardines brought its brand ambassador, Ang Probinsiyano himself, Mr. Coco Martin at the convention. Coco Martin graced the convention last May 28, 2017 by performing three (3) songs in a row. The crowd went wild with the King of Primetime Drama that they even followed him after his performance at the King Cup Sardines booth. Fans as well as Permex officers and staff were able to meet and greet King Cup Sardines’ Brand Ambassador at the booth.